Cork City will seek to retain the Munster Senior Cup this Friday, as they face Midleton at Turner’s Cross. 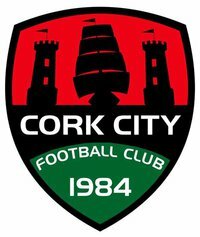 City have won the competition in each of the last two years, and they face the East Cork side in the decider, having defeated Fermoy in the quarter-finals and Cobh Ramblers in the semi-finals. Midleton booked their place in the final thanks to a semi-final victory over Mayfield United, while they defeated Carrigaline United in the quarter-finals. City secured their first home win of the season last Friday, defeating Bohemians 2-0 thanks to goals from Conor McCarthy and Dan Casey. The last competitive meeting between the sides was in the FAI Cup in 2011, when Tommy Dunne’s side secured a 2-0 win at Knockgriffin Park thanks to goals from Graham Cummins and Vinny Sullivan. Caulfield hopes to welcome back Bennett and McLoughlin from injury, while Boylan is in line to make his first appearance for the club following his close-season move from Sligo Rovers. Dáire O’Connor is ruled out after suffering a shoulder injury against Bohemians.